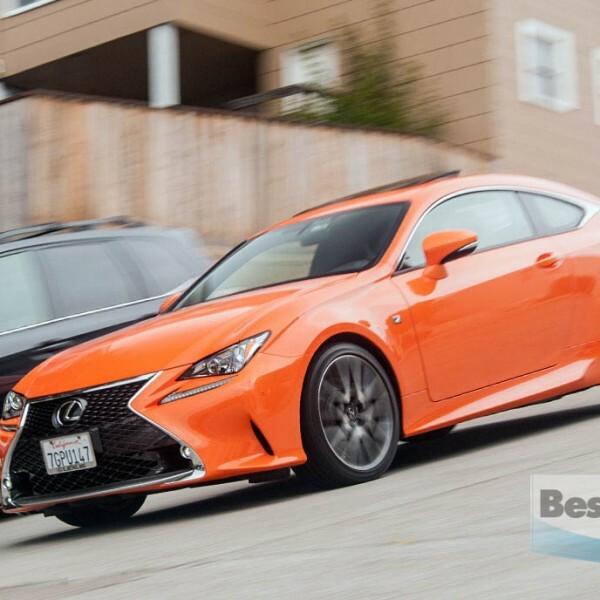 Coupe buyers have an appealing new option to consider: the Lexus RC 350 F Sport, which evenly balances styling and performance. 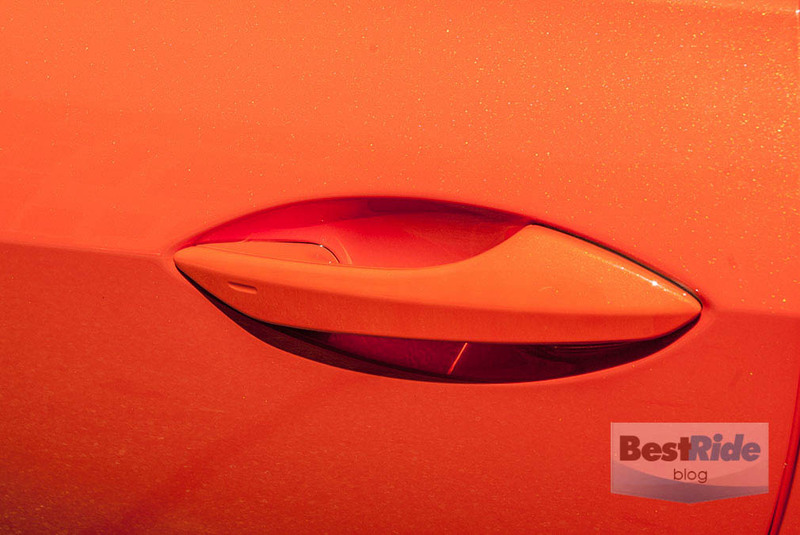 Before jumping into the review, let’s talk about the glowing paint shade of the test car. 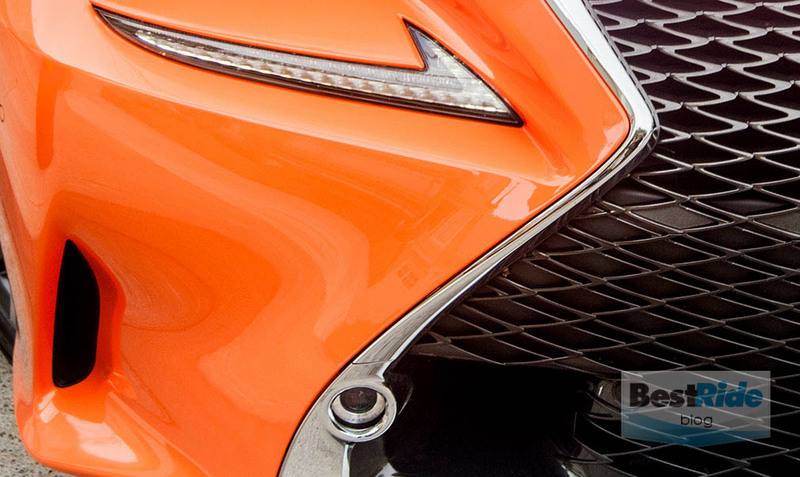 Lexus calls it “Molten Pearl”, borne from Lexus’s new “contrast layering” painting technique. 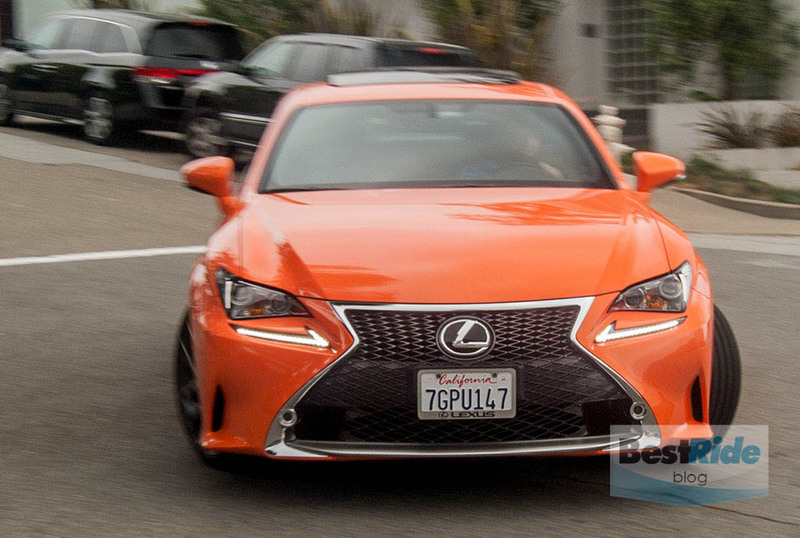 The RC has to be an F Sport to be this color, as with Ultra White and Ultrasonic Blue Mica 2.0. It’s a four-layer finish – the RC’s signature “Infrared” is five – and you’d probably want to up your body damage insurance; one can imagine even the most skilled shops having its hands full trying to truly match a repaired area. No matter: this Molten Pearl finish constantly yanked on the eyeballs of onlookers. It was sparkly and luminous, so much so that grabbing the door handle on a sunny day was like digging into a bowl of electrified orange Jell-O. 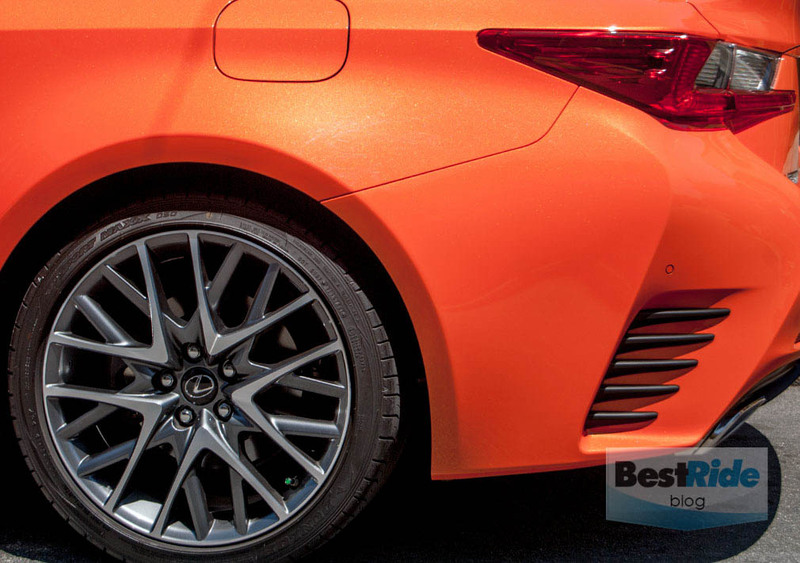 Interestingly, the onlookers’ gazes held with the car longer than just a bright color would get; the RC, particularly with its sharp F Sport wheels, is dense with detailing. The RC is new for 2015; it’s the coupe version of the IS sedan. 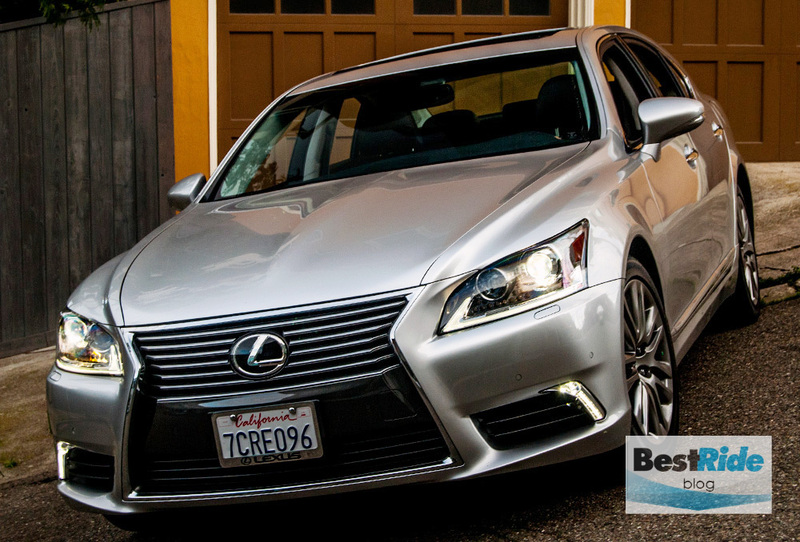 At $42,790, the base RC 350 costs $2,725 more than the IS 350. The F Sport package adds $3,985, and if you wanted to add all-wheel drive, you’d add $2,235 to the base RC and $1,830 to the F Sport. …the well-integrated Fog Lights ($470) and Intuitive Parking Assist ($500 – note the small circle in the grille next to the fog light). 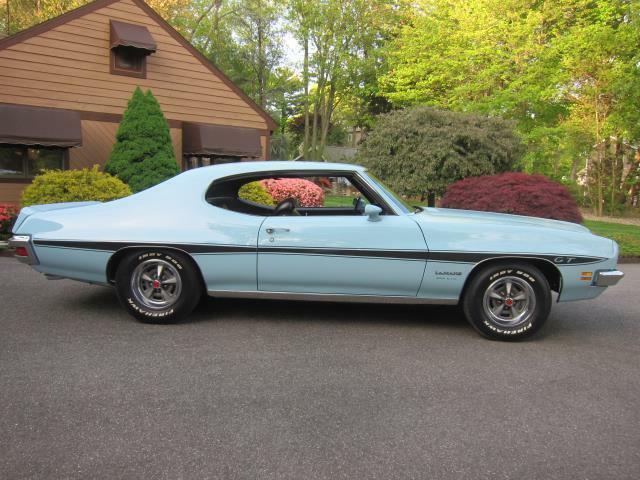 …and the $1,900 Variable Gear Ratio Steering (VGRS). The total came to $53,140. There’s no smaller 2.5-liter V6 in the RC as there is in the cheapest IS sedan, the IS 250; RCs start with the larger 3.5-liter and its 306 horsepower. 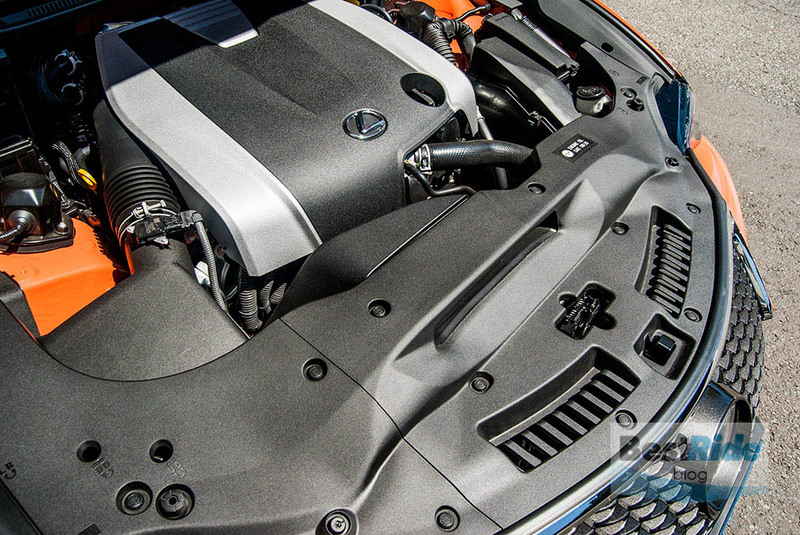 If you wanted more than the smooth and flexible thrust this V6 gives, then you’d bump up to the RC F, with its 467-horsepower V8. But if you didn’t want to drop $62,400, you’d likely find that the 3.5-liter has no trouble keeping up the pace. Alas, there’s no manual transmission in any RC, but you wouldn’t guess that the F Sport’s automatic is juggling eight speeds; it responds briskly and with certainty. 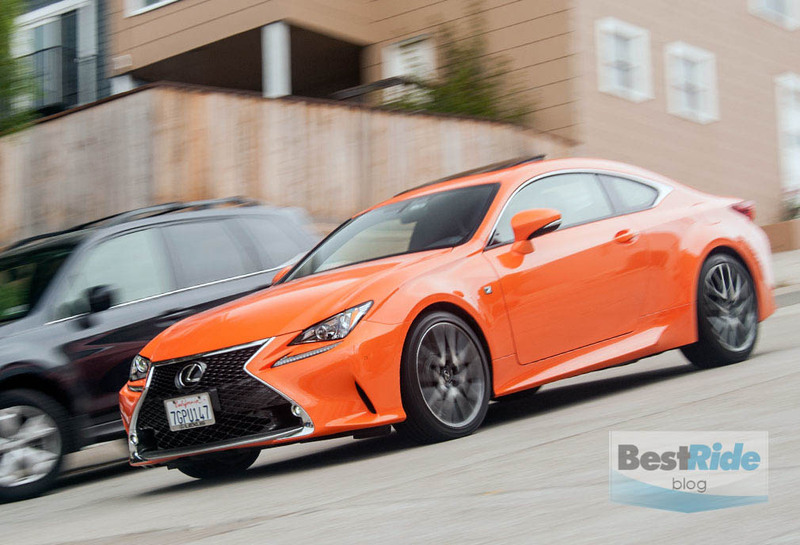 Lexus dubs it Sports Program Direct Shift (SPDS), which debuted in the fiery IS F.
Notably, this transmission has a first gear that is 8.5 percent shorter than first in the all-wheel drive’s six-speed. That means it’s easy to chirp a wheel when accelerating. The optional Variable Gear Ratio Steering (VGRS) is pricey at nearly $2K, but it damn sure feels worth it, particularly in tight quarters. The RC is a fairly wide car – at 72.4, inches wide, it’s 0.7 inches wider than a Toyota Camry – and anything that can make it turn more nimbly is welcomed. The VGRS is an innovative system; it uses a series of gears and a wave generator (!) 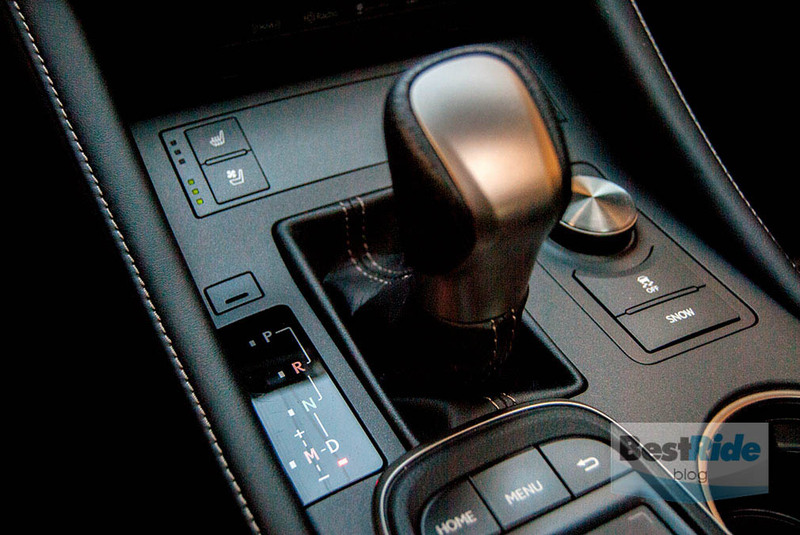 to allow the steering input and output shafts to turn at different speeds, according to speed and driver input. It reduces the lock-to-lock turns of the wheel from 2.84 to 2.35. Combine the flickable response with a wonderfully tight 34.2-foot turning circle, and the RC practically dances through your errand rounds, belying its size as it goes. 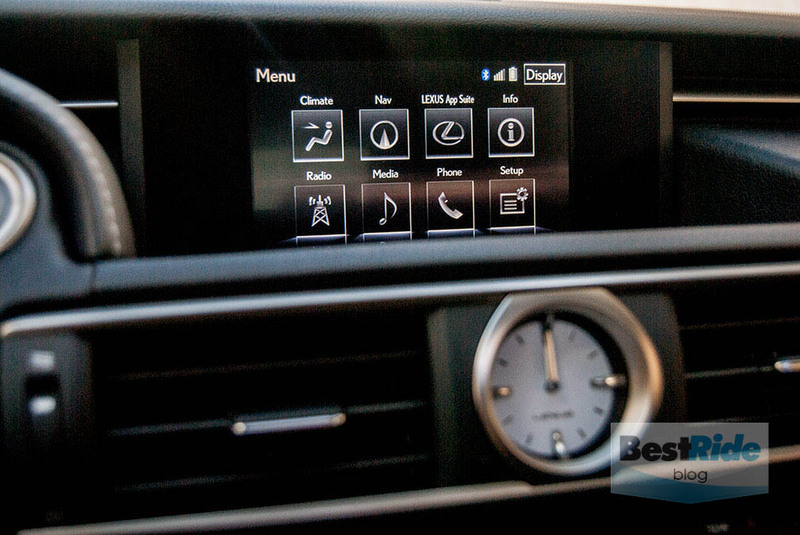 Then there’s F Sport’s true raison d’etre; the different drive modes which culminate in Sport Plus mode, or S+. This mode is fundamental in reducing the encumbered feeling the RC can sometimes evince as it shifts its 3,748 pounds around. The S+’s tightening of steering and suspension response works in concert with powertrain adjustments that snap the RC off the line like it was hooked to a giant rubber band. The other modes can let you feel the RC’s mass; the S+ mode erases that. Inside, the RC fits snugly. 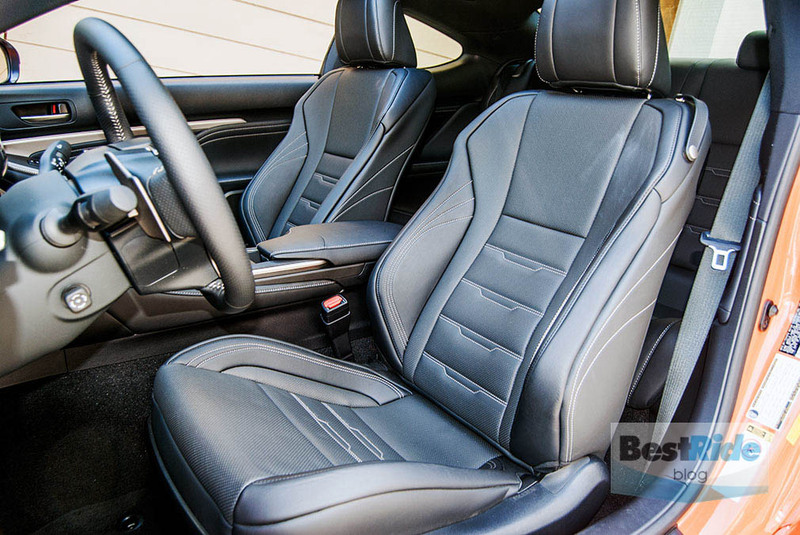 The F Sport-specific seats hold your shoulders in the curves, though they can feel narrow if you’re broad of beam. The rear seat is predictably tight. 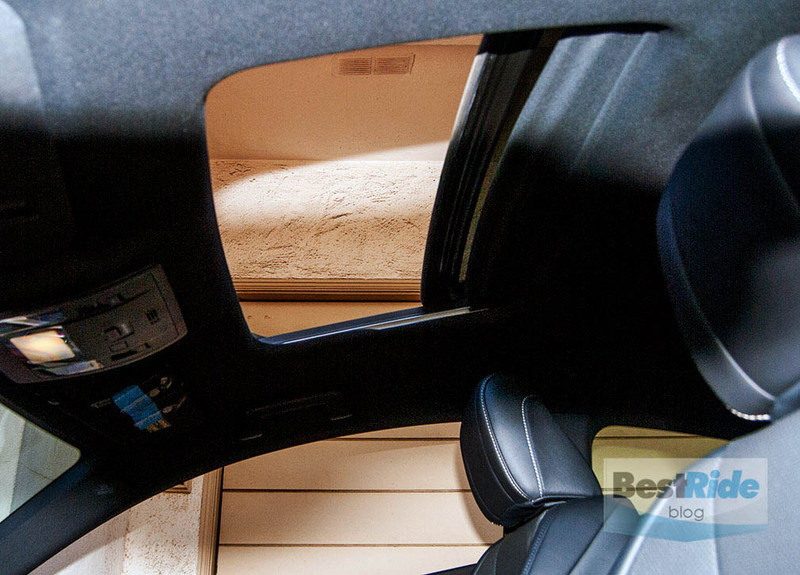 With less than 28 inches of legroom, it becomes two padded shelves for your cargo or canine companions. 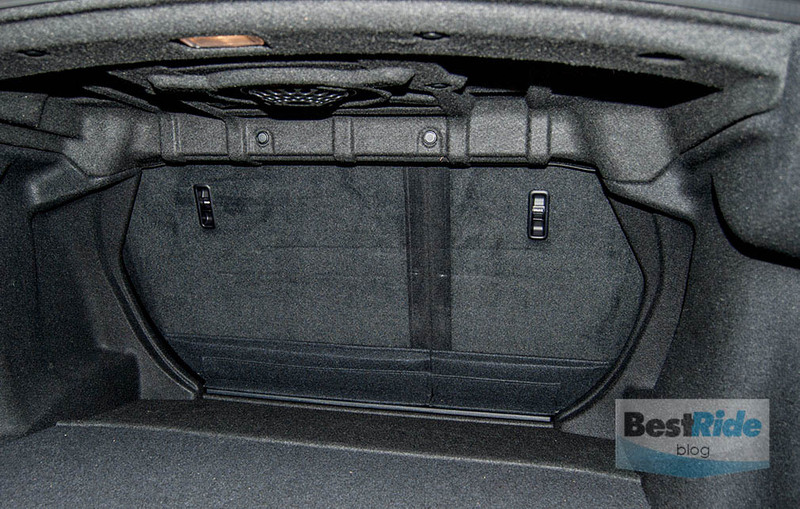 The well-finished trunk is similarly smallish, with just 10.4 cubic feet to work with. Fortunately, the rear seat folds in two parts to expand it. 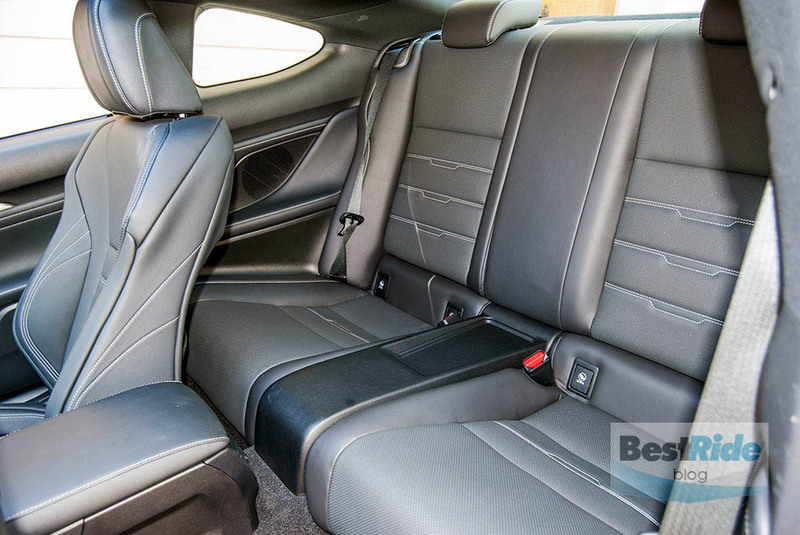 The interior closely mirrors that of its IS sedan counterpart, complete with its cupholders under the passenger’s elbow and no defined place to rest your phone. 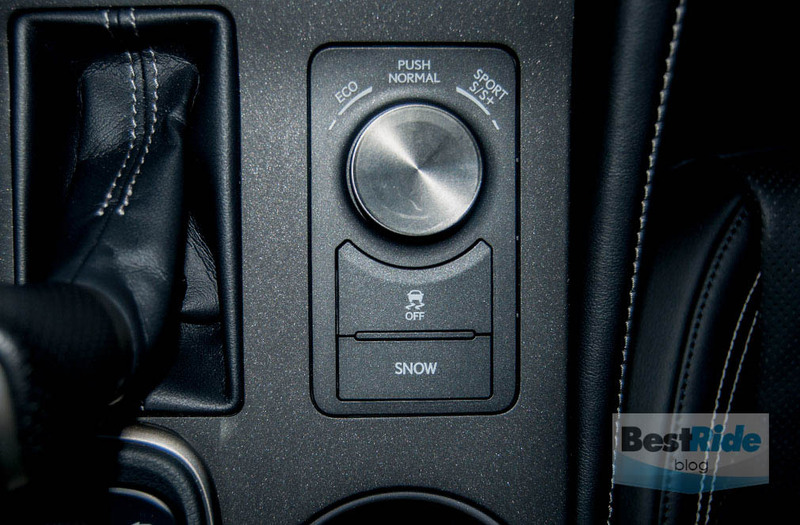 I slid mine next to the drive mode knob, where it stayed put. Overall, this RC made a strong impression both on onlookers and your author. Enthusiast drivers should opt for F Sport package; it turns what can sometimes feel like a relaxed tourer into a hard-bitten road eater. And while buyers shopping for luxury cars aren’t necessarily hung up on the few thousand dollars’ difference between the RC and its more expensive competitors, it’s nice that the test car stayed under $55K while having many interesting features. The icing on the cake was the Molten Pearl paint job, which gave the car a unique glow. 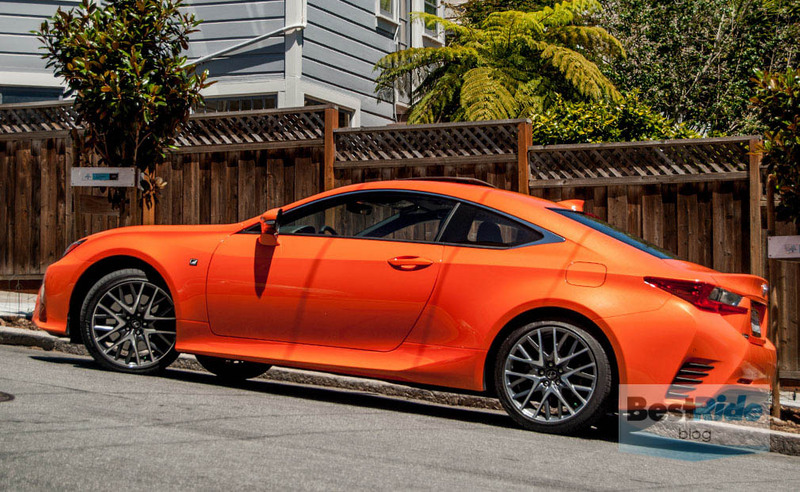 Rewarding on so many levels, the RC is one for every upscale coupe buyer to try.